You are here: Home / Recipes / Dessert / Peanut Butter Candy! Family Favorite Recipe! I thought this week I would make a family favorite! 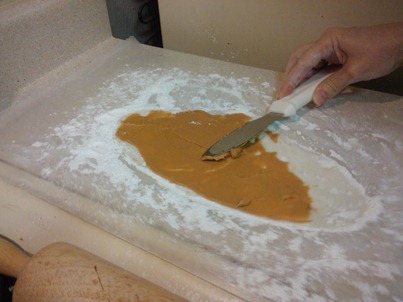 My Mom’s recipe – Peanut Butter Candy! It’s easy and a fun treat to work on with the kids! You can make this with leftover mashed potatoes or with a potato you boil and mash up with a fork. You only need a small amount so it’s perfect for even a spoonful leftover from dinner. We usually make it during the Holidays – so, you can use your leftover Thanksgiving or mashed potatoes, too! 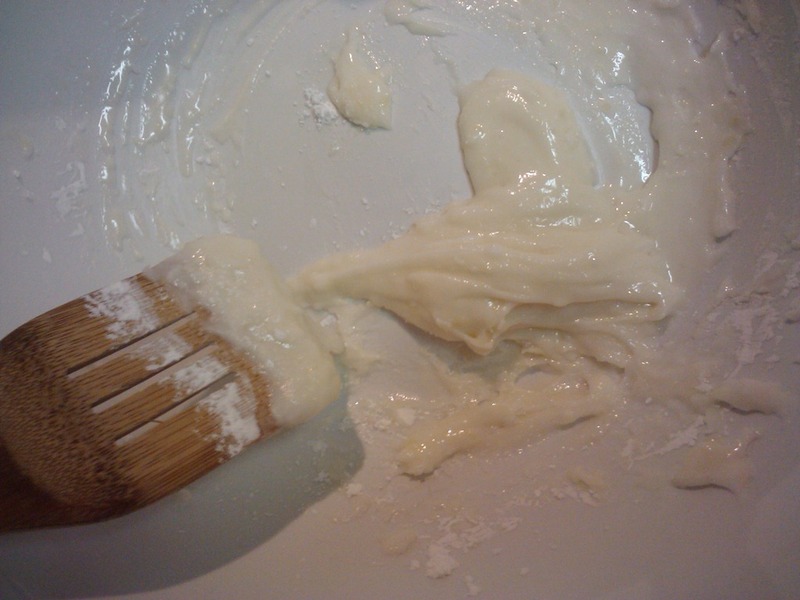 I used a potato I boiled and smashed with a fork until pretty smooth. 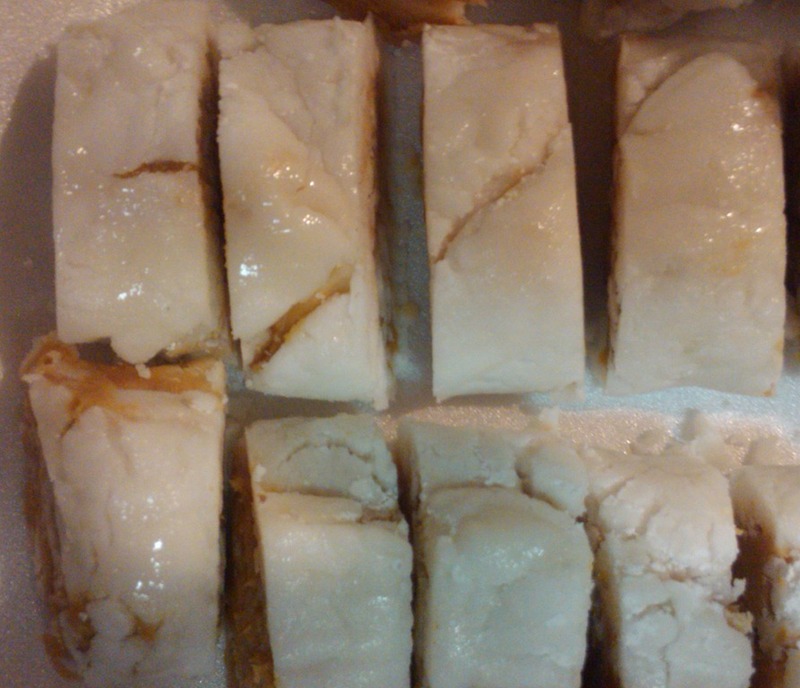 Put this in a mixing bowl and then add powdered sugar a bit at a time and mix by hand until it becomes dough-like. The potato makes the powdered sugar get really thin and wet so you have to keep mixing and adding powdered sugar until you get a dough. Lay out some wax paper and cover it with powdered sugar. 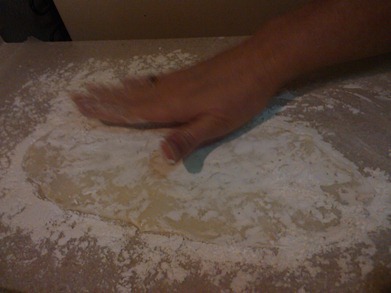 Take your dough and lay it on the wax paper and roll it out thin. 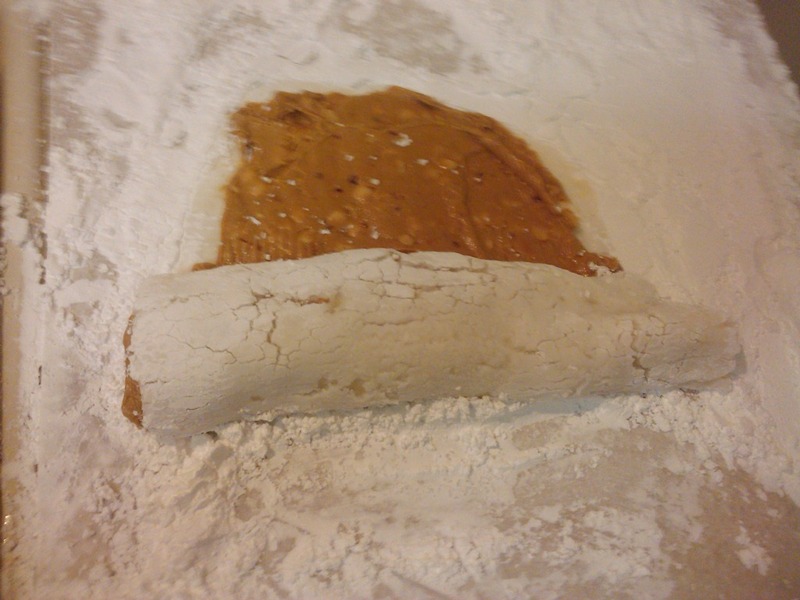 You may need to add some more powdered sugar if it’s too wet while you are rolling it out. Then smooth a thin layer of peanut butter over it, and then roll the dough up like a log. Of course, Mom’s looks better! Place it in the freezer or fridge until set well and then slice it and keep it cold until served. That’s it! Fast and easy! My grandma made this all the time, I am so excited to see this recipe!! @monika: Yay! I’m glad it brings back memories for you! I was just posting my new Tuesday’s Tasty Tidbits and realized that I had not even checked out the recipes from the last one. I wish I had so I could have added this to my candy/cookie tray I needed for the holidays. It looks so yummy! @Susan: Thanks! It’s waaaay sweet! I love to make this! @Melissa @ Stockpiling Moms: My kids love it! 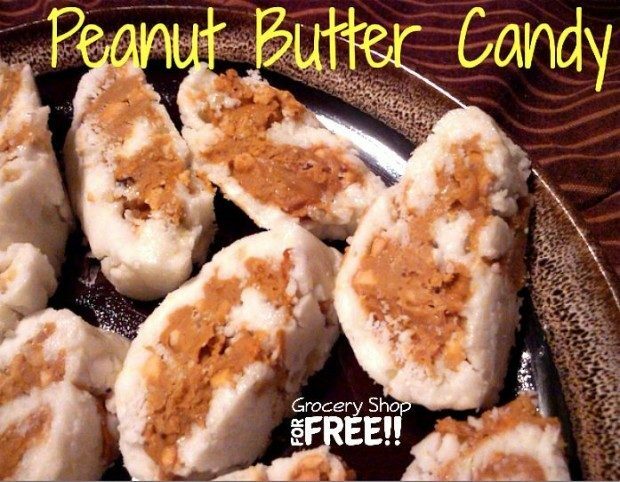 OMG the next time I see you, I think someone should bring these so I can try them lol! They look delicious. Pinterest is so much fun because I am exploring your site in a whole new way lol! Tamona Valentine » LOL! My mom always made these and now my kids do they are super easy and Waaay sweet! They look down right tasty! My mother showed my brother and I how to make these when we were kids. That was over 40 years ago. For a demonstration assignment in Jr high, I chose to show the class how to make these. I have shown my children, and plan to make them with my grandchildren soon. Yep! I taught my Daughter-in-law last year. It’s definitely a recipe to pass down!